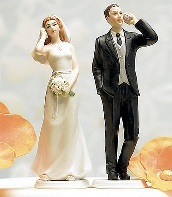 The Australian Small Business Blog: Married to the Business – Who’s the Boss? Up till now, Lyn had just ran the office. She would pay the accounts and issue invoices and pay the staff. She would balance the books and manage most the other office paperwork. Mike met the clients, did the quotes, organised the onsite staff and contractors, co-ordinated the suppliers and oversaw the works. Almost none of this could be managed by Lyn as she did not have the technical background, but even she could see that things never seemed to go to plan. There was a lot of wasted time and fixing of mistakes, which Lyn believed should never have occurred. While Lyn felt she could not help with the technical problems Mike had to deal with every day, she knew she could organise things better than they currently were. She spoke to their Advisor who recommended a new way of running the business. The current organisation meant that Mike ran the business and Lyn ran around after him trying to put out the fires. In fact they seemed to be in the fire fighting business. The Advisor suggested that Lyn become the business manager, as she had the overview of the business and the understood the financials far better than Mike. Mike was initially taken aback by this proposal. He felt it was really his business, but admitted, when challenged by the Advisor, that he really didn’t understand the business financials. “Look I know how much it costs to build a house, and I love building houses, but honestly, I don’t know where all the money goes. What we are doing now isn’t working and I am prepared to give it a go” Mike finally agreed. The Advisor then explained how it should work. Lyn would run the business day to day, with Mike reporting to her in a structured way, but each month, they would have board meetings, as equal partners in the business where Lyn as CEO would report the progress of the business to the board. This would be Mike’s opportunity see the big picture and see the true profit situation. As equals on the board, they would agree the priorities for the next month. It would then be Lyn’s responsibility to manage these priorities during the month. Mike had to accept that not every call Lyn made on priorities during the month would be right, but she had a better vantage point. Rather than debate each call, he should accept the decision but review them with Lyn at their board meeting to see their effects over the course of the month. Mike will still be the technical expert, and Lyn would defer to Mike in all matters technical but could well challenge him back on matters of process and organisation. This happens all the time in most businesses where the partners are not in a personal relationship, having clearly defined roles, however at the end of every day, they back to different homes. The Advisor said that they should accept that there would be serious tensions as they started out in this new way of operation, but should review weekly how the new model was going. It was important for Mike to give Lyn some time and space to adapt the new role, and see how she could improve their business. Over the coming months, I will look more closely at the special issues facing Lyn and Mike, and other couples who are married to the business. If you are married to the business, please tell your story in the comments below or visit our Facebook page or website. Married to the Business - Who's the Boss? Life partners in business together brings a second dimension to the relationship. Leaving business "at work" and personal "at home" can be even harder when the couple is working from home. Getting advice on this in the early stages is vital.